The shield's in Hillys are a little messed up. It is not a problem, they stored a broken geometry morphing during a progress of development and using scripting to disable it. IrisTool can not handle scripting due it is not present in bf file, but compiled into binary file (eg. BGE.exe). Just hit "m" key when you are viewing that level to disable morphing. That should fix this issue. ka87 wrote: It is not a problem, they stored a broken geometry morphing during a progress of development and using scripting to disable it. IrisTool can not handle scripting due it is not present in bf file, but compiled into binary file (eg. BGE.exe). Just hit "m" key when you are viewing that level to disable morphing. That should fix this issue. How do you hide certain objects when you "Render World"? 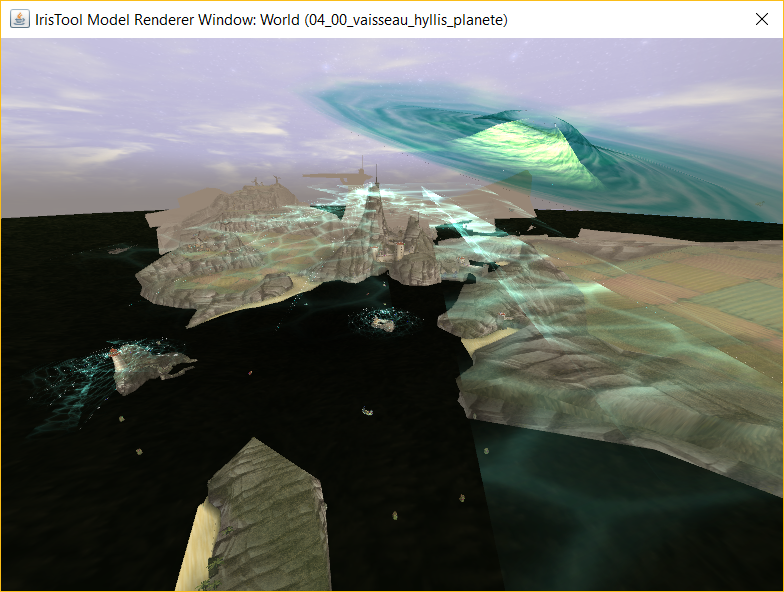 Escope12 wrote: How do you hide certain objects when you "Render World"? I'm not sure, what are you asking. Do you want to hide something in world view? Currently it is not possible. I'll make an option for this in the next version.